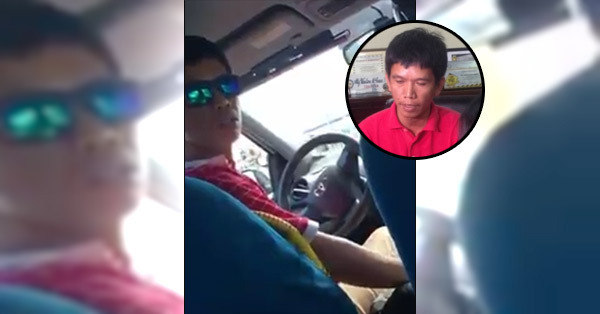 Roger Catipay, the taxi driver who got caught in a viral video scolding and threatening a female passenger, has refused to undergo drug test. According to GMA News Online, Catipay was brought by his employer, AFG Taxi operator Ariel Gamboa, to the office of the Transportation and Franchising Regulatory Board (LTFRB) on Wednesday, January 6. The driver reportedly asked for forgiveness from the passenger and said he is willing to accept the concequences of his actions. However, he did not agree to be subjected to tests to find out if he uses illegal drugs. 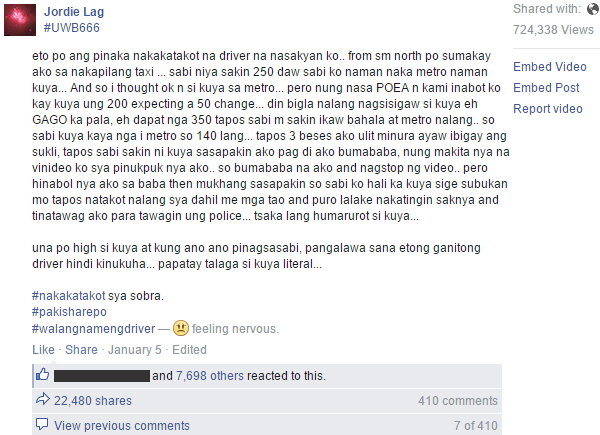 The passenger, Joanna Garcia, also went to the LTFRB to file a formal complaint. She said it would be okay if Catipay gets jailed or his license revoked.